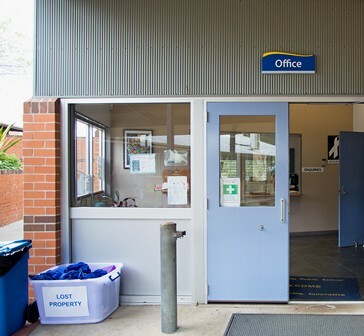 Our Administration area is located in the middle of the school equidistant from the two entrances. 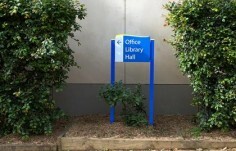 Hence much confusion emanated from where visitors should go as their first point of contact. 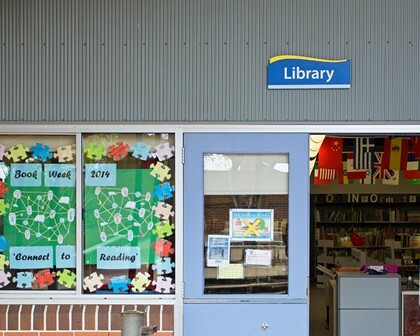 The library was frequently the area they went to. 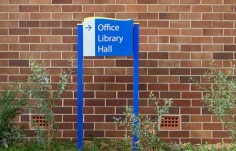 A consultant visited our school and offered some prudent suggestions about the location of signage. 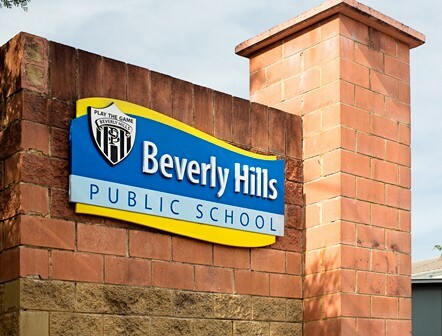 Danthonia had already produced a Beverly Hills Public School sign located on the external wall of the school which we were very pleased with. 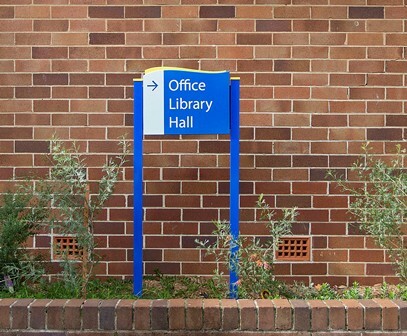 The theme for that sign permeated through the other signage and provided clear directions for navigating the school. 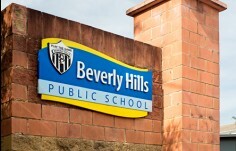 Many parents and visitors have commented about how captivating and effective the signage is. 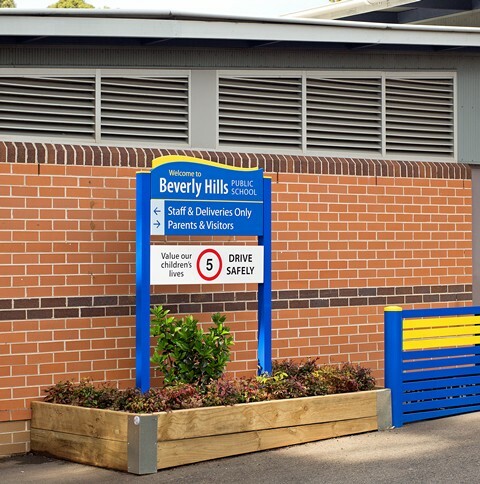 We couldn't be happier with the end result. 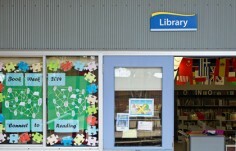 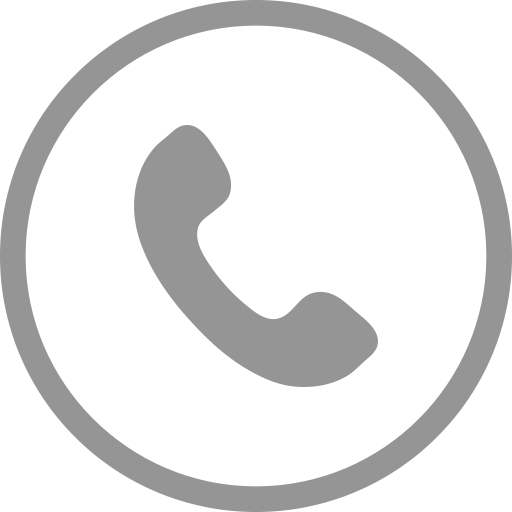 We were also very pleased with the ongoing communication and support provided throughout the process. 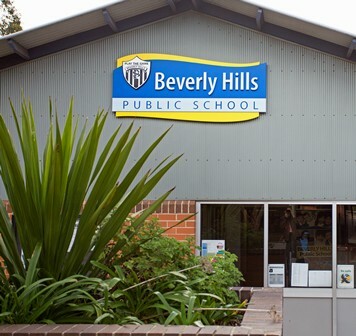 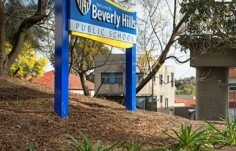 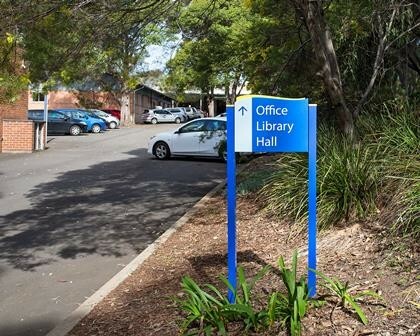 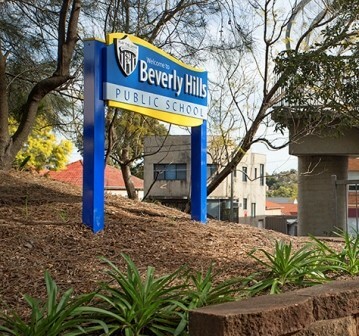 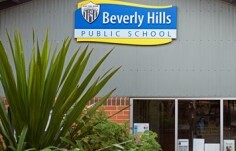 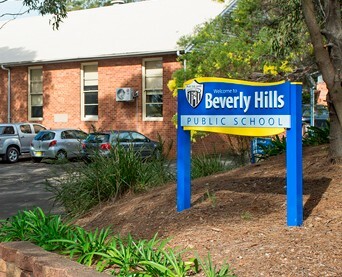 Beverly Hills Public School is in the heart of Sydney’s suburbs, on the corner of two of the busiest and noisiest thoroughfares in the area, King Georges Rd and Stoney Creek Rd. 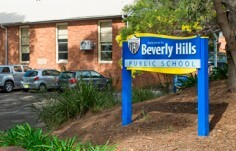 The school, however is a sheltered haven for belonging and learning. 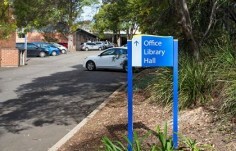 Walls and trees shield the leafy campus from the traffic sounds. 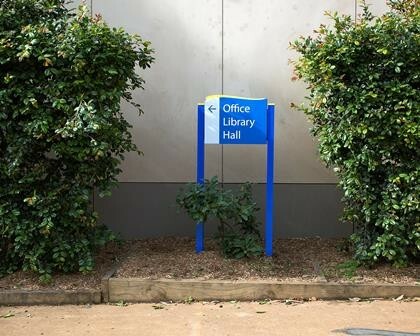 Staff have put a great deal of effort and time into planting extensive garden beds with native flora such as grevillea. 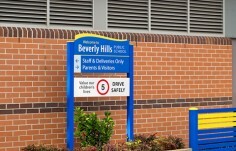 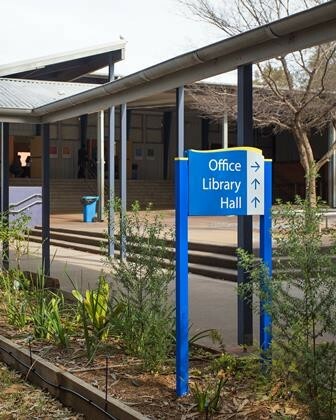 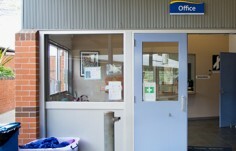 To finish the welcoming feel of the school, they invested in dimensional signs placed around the school, both to direct visitors and to welcome them. 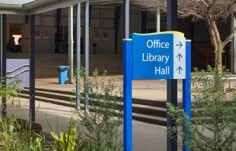 Both the landscaping and the signage indicates the care and attention to detail the school puts into the education of each child. 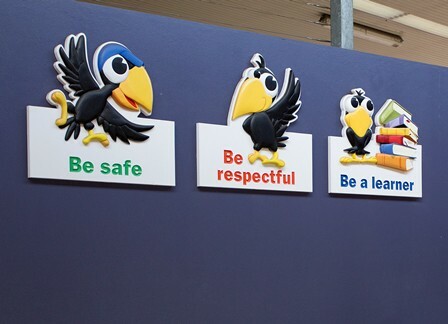 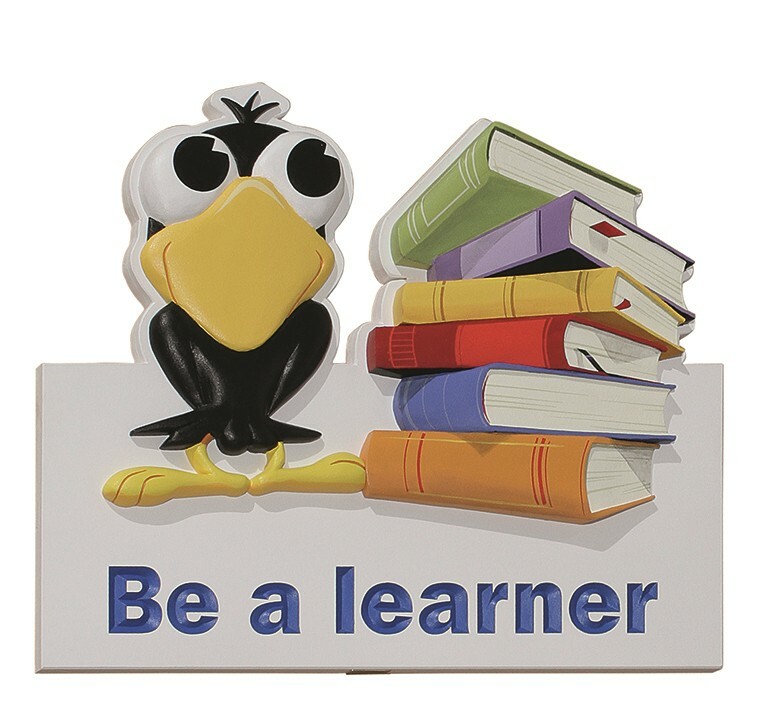 The best signs are the sculpted ‘values crows’, which form part of the school’s Positive Behaviour for Learning program. 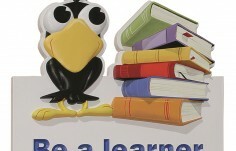 Students were involved in the selection of crows as the mascot of the program. Staff hope that seeing these signs will inspire the students to be respectful, responsible and good learners.